Desiree ‘Des’ Linden represented the United States in the 2012 London Olympics and in the 2016 Rio de Janeiro Olympics women’s marathon. Most notably, she won the 2018 Boston Marathon, becoming the first American in 33 years to win the women’s race in the event. Sponsored by Timex, Powerbar, Oakley, and Brooks Running, her professional career has spanned more than a decade. 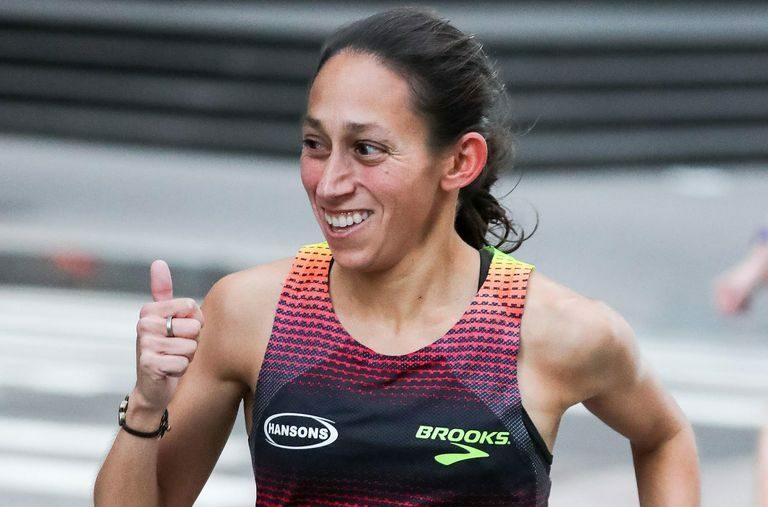 Born in San Diego, California, Des Linden was always interested in running. In high school, she played soccer, ran track, and ran cross country. As a high school freshman, she ran a sub-5-minute mile, and in statewide track meets, she was named a finalist for all four years of high school. Linden left California to study psychology at Arizona State University and, while getting her degree, was a two-time All-American in track and cross country. Linden’s first appearance in a marathon was at the 2007 Boston Marathon, where she placed 19th with a time of 2:44:56. The next year, she finished second at the 2008 Houston Half Marathon, fifth in the 2008 Chicago Marathon, and 13th in the U.S. Olympic Trials. A couple of years later, Linden set her marathon personal record at the Boston Marathon; at the time, her 2:22:38 was the fasted time ever run by an American woman in that event. Linden continued to run record-breaking paces, following in the steps of her role models Shalane Flanagan and Deena Castor. Her 2018 Boston Marathon win launched her into the public eye when she became the first American to win the women’s category in 33 years. While many of Linden’s personal records were set in 2010 and 2011, this woman shows a special grit most runners don’t have. Many attribute her historic Boston win to Linden’s ability to push through the windy, rainy weather. Indeed, she seems to do best when weather conditions are suboptimal. As a result, many in the running world are speculating she’ll make the switch from road running to trail running in the next few years, a move many speed road runners make as they get older. Plus, with the 2019 Boston Marathon coming up, who knows what will happen to her 2018 record.